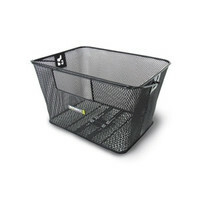 The Basil Capri Luxe II Flex bike basket is a stylish design that will fit easily at the rear of most bike frames. The fine mesh construction comes in a classic black colour. 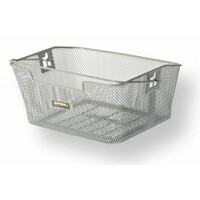 Are you looking for a flexible bike basket that provides plenty of stability but doesn’t compromise on style? The Basil Capri Luxe II Flex is an ideal choice. 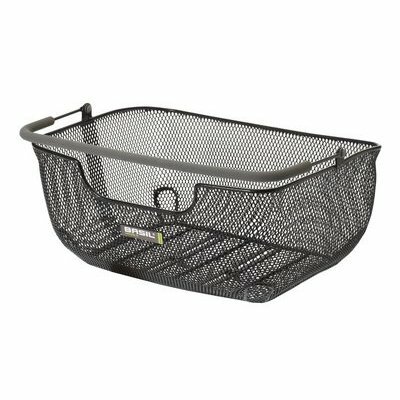 This high-quality basket is made from a fine steel mesh and comes in a classic black colour for easy coordination with your current bike frame. An ideal option for trips to the shops or market, this basket is also a handy addition to your bike for commutes into the office or classroom. A reinforced base provides extra support for storing heavy goods, while the chamfered top adds to the flexibility and overall stability of this design. This basket is easily mounted thanks to integrated double hooks that can be used along with your spring clamp to fit it at the rear of your bike atop the luggage carrier. The Luxe II Flex can easily withstand everyday knocks and bumps, holding firmly in place and ensuring your stored items don’t fall free. What’s more, the soft-grip handle means you won’t snag your skin when handling it, allowing you to detach it and take it with you after you’ve locked up at the bike rack. Looking for more must-have accessories to transform your bicycle? Browse the complete range online at Basil today. 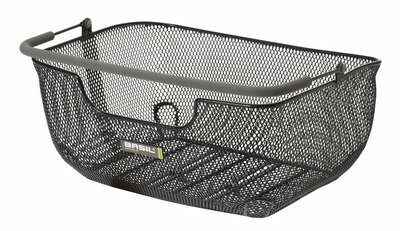 The Basil Capri Luxe II is a black bike basket suitable for mounting at the rear of your frame. Easily attached using adjustable hooks in combination with your spring clamp. Comfortable grip handle protects hands when lifting, even when heavy with goods. The Basil Capri Luxe II Flex is easy to remove, making it ideal for shopping excursions.